Iowa became the 29th state in the Union on December 28, 1846, and Fort Des Moines became a city in 1856. 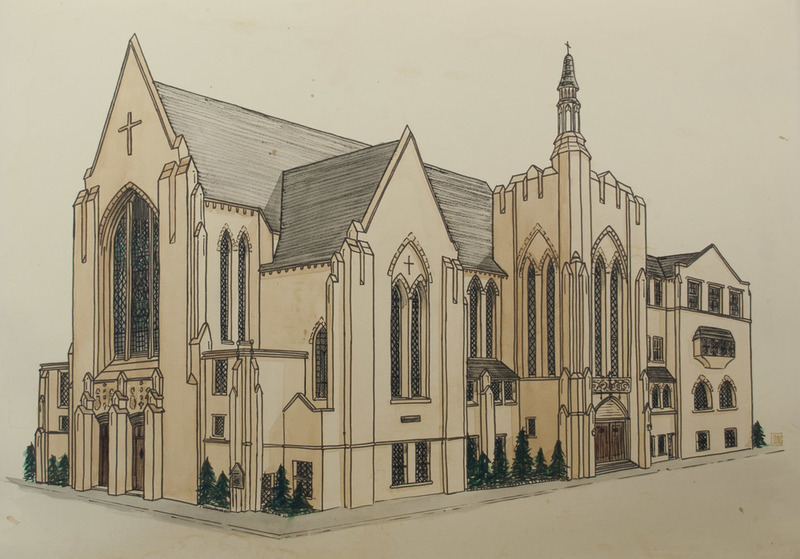 Just nine years later, St. John's was organized as the First English Evangelical Lutheran Church of Des Moines, with Reverend A.M. Geiger as its first pastor. 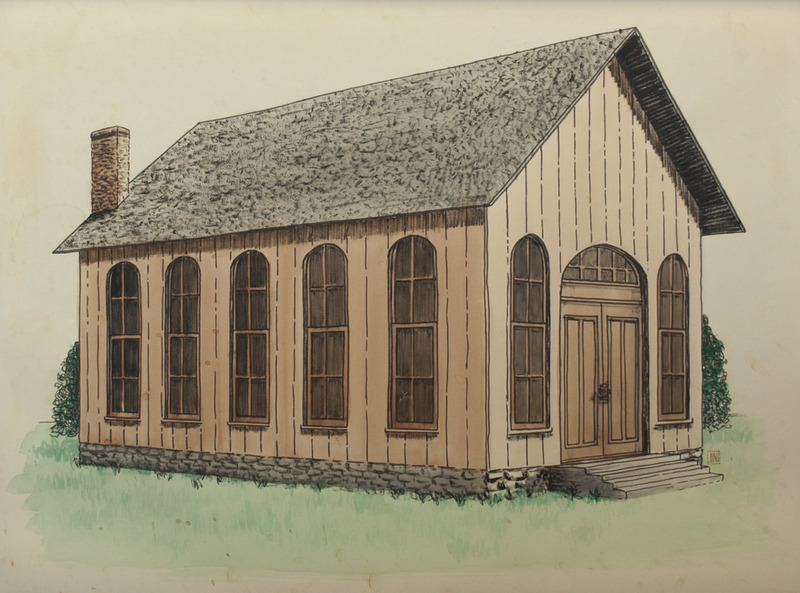 As its name implies, it was organized as an English-speaking congregation. Other congregations of that period spoke other languages to comply with the ethnic groups which they were serving. The name of the church was not changed to St. John's Evangelical Lutheran Church in Des Moines until August 22, 1880. 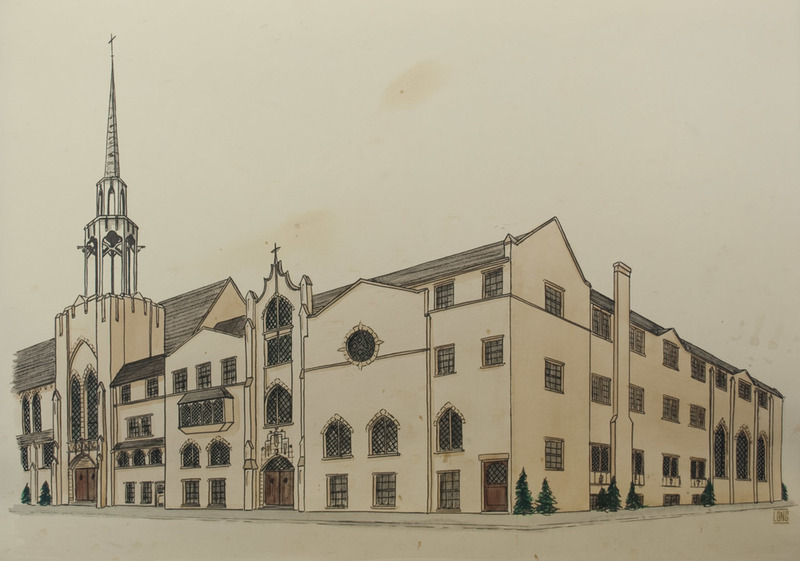 St. John's, which currently has 2,600+ baptized members, started on November 26, 1865 with 24 charter members. The first building, erected in 1868, was located at Seventh and Grand Avenue where the Ruan Building is now. In 1892, St. John's moved to its present location. The congregation then had grown to 150 members and the village of Des Moines had grown to a city of 50,000 inhabitants. The original structure, which was red brick, was torn down in 1935 and the current stone building was built on the same site. This structure has been added to twice, in 1951 and again in 1965, to accommodate the increase in membership. Women have always been a vital part of St. John's ministry, starting with the original "Committee of Enquiry" appointed by the Board of Home Missions of the General Synod of the Evangelical Lutheran Church in the United States in 1865. Two men and two women were appointed at that time to "seek out Lutheran people in and about Des Moines." In 1895, Sophia Jepsen a member of St. John's, was one of the first five women who were appointed to deaconess status of the General synod of the LCA. In 1909, a deaconess, Alice Watson, was called as St. John's first pastoral assistant. However, women were not elected to the Church Council until 1972. 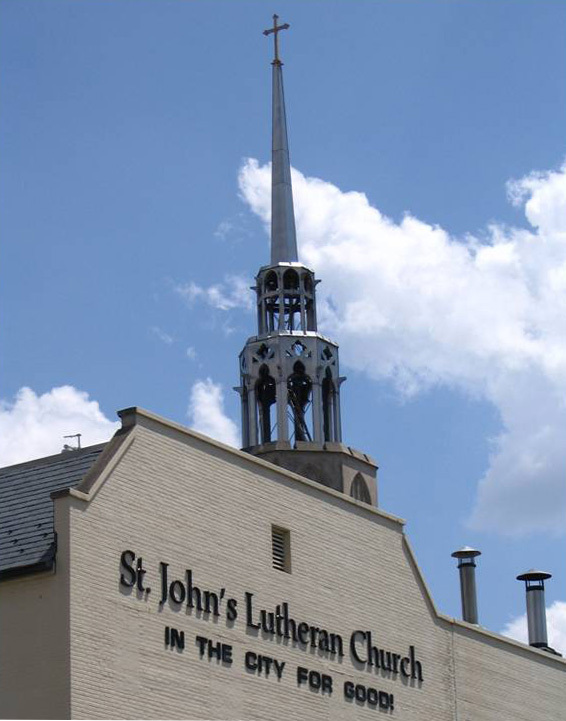 Today St. John's is one of the larger congregations in the Evangelical Lutheran Church in America. St. John's called Pastor Rachel Thorson Mithelman to serve as Senior Pastor in 2005. Our Associate Pastor Robert Speirs was called to St. John’s fall of 2007. First church, 1869 - 1890, located at 7th & Grand. Name was changed to St. John's in 1881. Second building, 1890 - 1935, red brick building located at Sixth & Chestnut (now Keo). Third building, 1936 - present, built out of stone located at Sixth & Keo. First major renovation completed in 1951.